Naturally caffeine free dried fruits, flowers, rose hips & hibiscus petals. Ideal for coffee houses and specialty stores are the orchard fruit teas and tropical iced tea blends at wholesale prices from Passport Coffee Arabica, the specialty coffee and tea wholesaler. 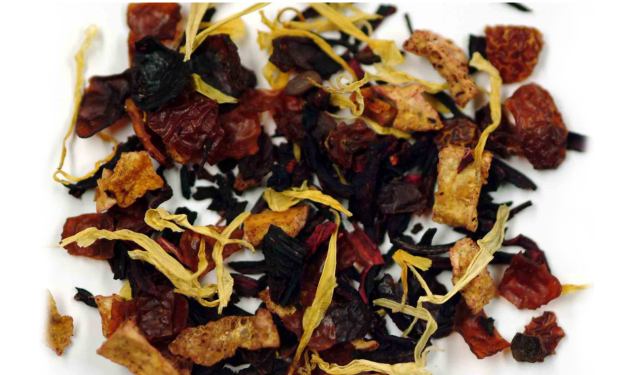 CACTUS BLOSSOM FRUIT TEA | Bringing together several desert fruits into one cup, this is a natural red brew that hits the spot. We prefer this tea over ice.